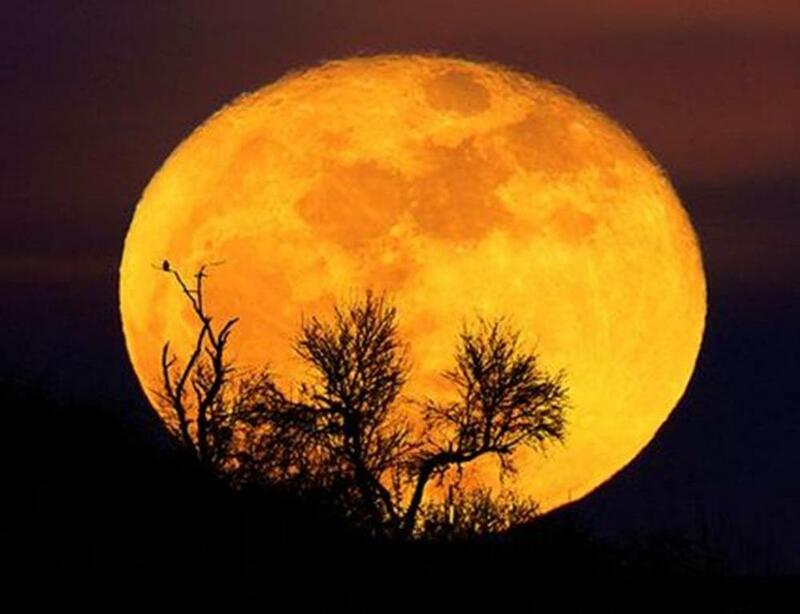 November’s full Moon is called the Beaver Moon and the name can be traced back to Native Americans. The Algonquin tribe and many colonial Americans called it the Beaver Moon because November was the final month to set beaver traps before the swamps froze, which would ensure a supply of warm winter furs. 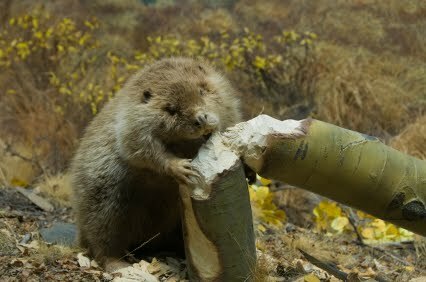 Others have a slightly different version, but still tied to the beaver, stating that November was the time beaver’s built their dams up before winter. It was also called the Full Frost Moon by other Native American tribes, for obvious reasons. 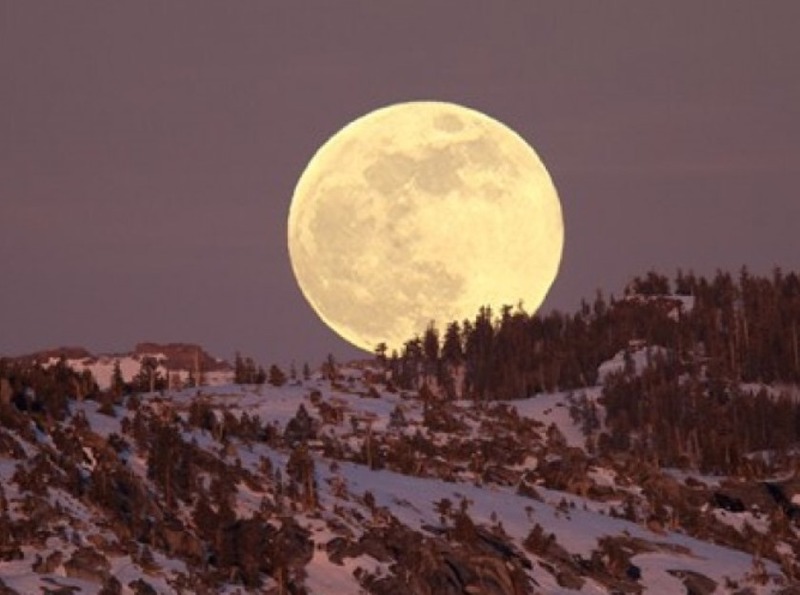 Another distinct feature of this and the following winter full moon’s is how high they climb into the night sky. They are nearly at the level of a summertime noontime sun. This height produces some amazing shadows on the landscape, especially with bare trees and most ground vegetation having already died down. 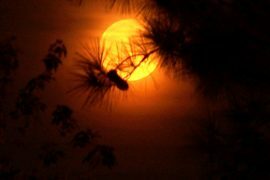 This year’s full moon falls on November 22, 10:41 P.M. MST – for detailed information on your area, please consult this link (The Farmer’s Almanac). Any portion of the ritual that is bracketed by <> symbols should be understood as instructional notes and not to be spoken aloud. In this a place of magick, energy, and power, where all the mysteries slip from their folds, I do conjure a sacred space. We are free as the circle is cast, now together; between the worlds. Tonight we gather under the light of the full moon to cleanse and share time with one another. This year is unique as the secular holiday of Thanksgiving also falls on the same day. Even though it’s not the true Thanksgiving, we shall make an exception for tonight’s celebration as we believe that giving thanks should be a daily occurrence and not saved up for a single day annually. Tonight will also be a night of looking back into the past to express our gratitude for those who tirelessly toiled to build the foundations of the world we live in today. Long ago, in the times before this nation and peoples, our ancestors would gather together at the end of the harvest season in celebration. They would have given thanks to the Goddess for providing them with grain, vegetables, and meat which would preserve life through the dark half of the year. Additionally, they would make certain that no family in their clan or village was without the means to survive; even if this meant spreading the available resources thinly across the community. Everyone in those days relied on each other and any weak link could weaken the entire village’s abilities to continue. Over time the ancient ways have been long forgotten by most people and this night of thanks was moved and then tied to the actions of the first Europeans in America. The traditions from ancient tribes across Europe were watered down and repurposed into new traditions for the white settlers. Unfortunately, these colonists were vastly unprepared for life in the new world and if it wasn’t for the charity offered by Native Americans, they’d have died and the settlement likely abandoned. History tells us how tribesmen and women educated and assisted those travelers with knowledge and more importantly with food; helping them ultimately survive the frigid first winter of coastal life. Yet instead of giving thanks to the indigenous populations and creating an event to celebrate them, those settlers gave thanks to their God for everything. They even went as far as to try and make it into a Holy holiday of sorts. This transgression has been evident for centuries, and as the holiday teetered between religion and a secular holiday, the Native Americans who literally saved the lives of those early travelers were forgotten. The history texts speak of a few higher profile Native Americans, but only because it was necessary to tell the story. The really ancient traditions were not even considered in the narrative. Most traditional Native Americans treat Thanksgiving as a false holiday or an outright lie. They do not serve turkey dinners, pumpkin pie, or any of the other modern traditions celebrated by those around us. They instead spend the day in stoic reflection, remembering, and honoring their grandfathers and grandmothers. Many also spend time celebrating the fact that their culture’s were able to survive the centuries of hardship at the hands of those descendants of the original colonists. Many likely reflect on the past and wonder what their lives would be like today if their ancestors had done nothing to help the white settlers. Yet, most Native Americans alive today realize that ignoring someone who is in need of help isn’t the right way to live. The Great Spirit of the land did not put the First People here to be greedy or cause harm to the downtrodden. All life is precious, and all human’s are equal, regardless of origin, culture, race, or creed. To allow another life to fade away when it could have been saved goes against the basic tenants of human kindness. Many indigenous tribes had celebrations of thanks that lasted for days, and looked very similar to this gathering. Everyone gathered around a fire with spiritual food being placed on an altar. The ritual leaders would then begin a lengthy list of things that all people should be thankful for, starting with their very lives and progressing into many different areas and items. Each item they gave thanks for was an integral part of life and covered food, water, hunting grounds, weather, the sun, friendship, and more. Tonight we will honor the same traditions of the First People and let their spirits remember that we have not forgotten their kindness, even though it was repaid in bloodshed, banishment, and cruelty. For without them, none of us would be standing here today. Many tribes speak of the Great Mystery, which can be interpreted as the force behind all creation and spirituality; one that isn’t personified into a single deity or form. This force flowed through all people, all objects, and gave the wind it’s power to blow, the flames their power to produce heat, and the water the power to cleanse. All things are connected by this force but it was understood by all as a great collective oneness. This short description helps us to see the rationale on why it was impossible for the Native Americans to allow the colonists to starve; they may have been from another land, but they were still part of the oneness. The Great Mystery instructed people to love one another always and only had a simple requirement for giving us life and that was to be grateful. 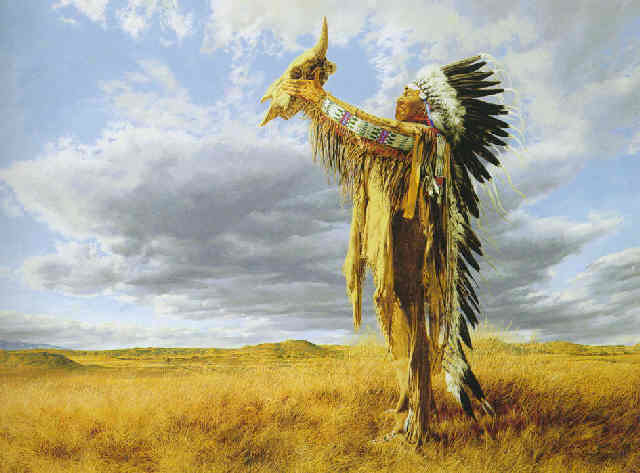 This prayer is original, but was influenced by many other prayers from different tribes and is being spoken with a pure heart and the true intention of thanking the Grandfather’s and Grandmother’s of those who walked these lands many lifetimes ago. Please be silent and open your minds to not only hear, but also to listen. Traditionally, tobacco was seen as the unifying thread between human and spiritual communication and before our prayer, we are making an offering to those who are with us tonight. 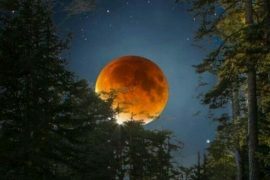 Each month we use the night of the full moon to self-heal. It’s a time to release that which no longer serves us, what we no longer need in our lives, or things we have outgrown. Tonight we purge ourselves, we unburden ourselves, we release and let go of the anchors which have been weighing us down. It’s time to step out of old ways and false identities which no longer define who we are. We must examine our behaviors, our attitudes, and our frame of mind. Only by getting rid of the old can we celebrate the new. 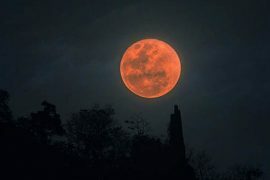 Under this full moon, we can show ourselves and the universe that we are truly ready to take the bold step toward the new and unknown opportunities ahead of us. The Great Guardians of the South have provided us with this cauldron of cleansing flames to consume that which is old and no longer valid in our lives; by burning the remnants of things useless and without value, we strike them from our memories. Some people have brought specific things that have been dead-weight in their lives to burn tonight, others have them in their minds. The latter can be written with intention and burned in the fire. We gather tonight by the light of the moon, to celebrate the season, to offer thanks to the ancestors of this land and rejoice. May the next turn of the Wheel bring us love and compassion, abundance and prosperity, fertility and life – As the moon above, so the earth below. Many groups choose to bring drinks and food to share around the bonfire. Take as much time as you’d like to converse with one another and enjoy the time together. This circle is open but never broken!